The signature salmon pink won’t be the only noticeable color dominating this year’s Oroville Salmon Festival. Oroville Hospital is hosting its second annual Salmon Color Dash Saturday, Sept. 26 featuring a rainbow of bright colors sure to make participants stand out from the crowd. 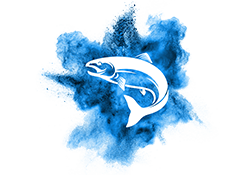 This year’s 3K Salmon Color Dash begins at Centennial Plaza and loops through Riverbend Park with a scenic walk or run along the Feather River. Participants will be showered in colored powder along the course, sure to add excitement to the run/walk. Time: Event registration begins at 8:30 a.m., Salmon Color Dash begins at 9:30 a.m.
After participants have finished the Salmon Color Dash they can also visit Oroville Hospital’s Health Fair located at the Salmon Court. The hospital will be providing free flu shots, health screenings and information about health services and living a healthy lifestyle. For more information about the Salmon Color Dash or to register, please visit www.OrovilleHospital.com/ColorDash.